Whether you’re designing a new home or modifying your current one, getting the right type of flooring is a very important decision to make. What many homeowners forget, though, is that your choice for kitchen flooring is very important, as kitchen floors take some of the biggest messes that your house will see. You’ll want to make sure that the kitchen flooring you select not only is complimentary with your kitchen’s design but also that it is ready for any mess. Luckily, there are many great, modern options for your kitchen floors. Once you find the right team to install your flooring, it’s a good idea to work with them to figure out the perfect style for your needs. Here are a few great flooring options for your kitchen. If you have wood floors all around your home, you may think that finding an easy to clean wood may be your best bet. Luckily, a new trend is sweeping the nation that may give you an exciting, new option. A wood to tile kitchen may be the exact option you need to maintain a clean kitchen while keeping wood flooring for the rest of your home. The wood to tile transition is not unusual in any home, as most homes use it for bathrooms. This transition is now being utilized for kitchens in order to keep kitchens clean and to keep the wood look going around the home. There are also many creative ideas going around for the actual transition of a wood to tile kitchen. Rather than just a regular floor transition slip, some designers are now integrating designs in order to make the transition seamless or using a piece of furniture to mark the transition. If you’re looking for a unique wood flooring idea for your kitchen, you may want to consider using bamboo flooring. This type of kitchen flooring is not only eco-friendly and good looking, it is also a tough form of flooring that will stand up well to any mess that may end up in your kitchen. Bamboo is harder and more water resistant than most hardwood floors. It is still a natural source so it can be susceptible to some more serious messes as well as to scratching, but with most bamboo materials coming pre-sealed, it is still a strong alternative. If your bamboo flooring starts to get old or worn down, replacing it is not a terrible investment. Bamboo trees grow almost 4 times as quickly as other trees, so this material will be easier and cheaper to replace if it becomes scratched or worn down over time. If you’re looking for a flooring option that is not only easy to clean but is also very resistant to messes, rubber might be the option for you. Though it is not a more traditional kitchen floor option, rubber has been a great addition to many kitchens. When it comes to flooring, no type is more durable than rubber. This means that no matter how many slippery plates drop or how many spills you may have, the rubber will be there for you. Rubber is also very slip resistant, making it a great safety option for your kitchen. Unfortunately, rubber can be on the costlier side of floor installation. If you also choose low-quality rubber flooring, the “rubber” smell can also rub off, which some people do complain about. But, as long as you clean it well, rubber is a long-lasting, quality surface that has been useful to many families. When it comes to the MVP of kitchen flooring, concrete may just take the cake. Concrete is a durable, eco-friendly material that is perfect for any part of your home, not just the kitchen. More and more people have come to love concrete for the various styles available as well as the durability. Concrete is great for any type of mess and will resist scratching from falling plates and from pets, unlike rubber. This durability, though, will make it so that anything dropped on concrete will almost certainly break, and it will sometimes make it difficult to stand on. Concrete floor installation is best left to professionals, and the material itself makes it one of the costlier flooring options. For many, though, the strength of the concrete floors and the design flexibility makes it a great option for not only kitchens, but also the entirety of the home. The perfect kitchen floor must be durable, washable, and stain resistant. Cork flooring has all of those qualities, which make it a unique option for kitchen flooring. Cork flooring is easy to care for and even makes it relatively easy to install yourself, so it may be the perfect, underrated flooring option for you. Cork flooring is strong where concrete flooring is weak. Thanks to its natural sponginess, any objects dropped will be cushioned nicely and not break. If you have a lot of fragile silverware, cork is a great choice. This cushioning also makes cork comfortable when it comes to walking and standing on it, perfect for any long cooking or cleaning sessions. One big concern with cork flooring, though, is that it is not the best at water resistance. Water can seep through the material and damage it, so spills should be taken care of promptly. It does give any room a warm, comforting feel, so it should definitely be a top choice for your kitchen. 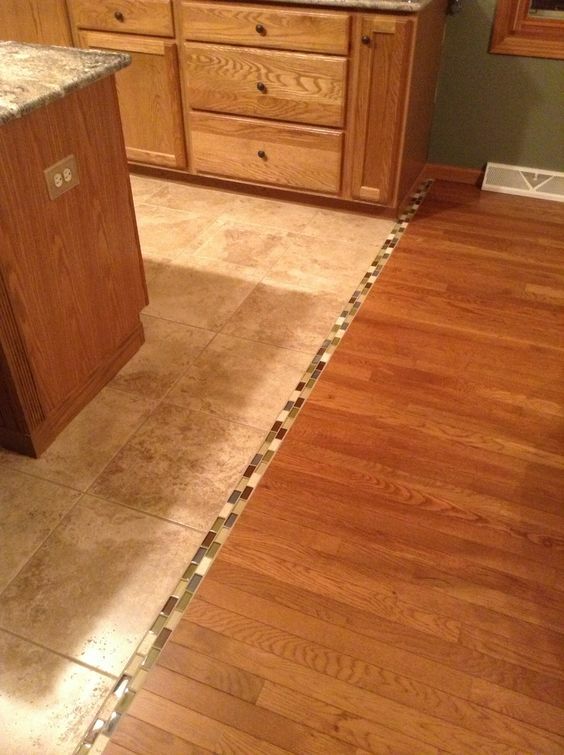 Does Your Kitchen Need New Floors? Whether you’re designing your entire house or remodeling your kitchen, there are many great options to choose from for your floors. Remember to find a floor material that is stain resistant, easy to clean, and comfortable for your entire family. Once you’ve selected the ideal floor for you, you need to find the right professionals to install it. Whatever your flooring needs, W Stansbie Flooring Ltd has the solution. Be sure to contact us for a free quote so we can get you started on the perfect kitchen floor today! © 2019 Wayne Stansbie Flooring. All rights reserved.